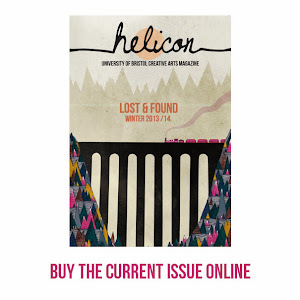 Helicon Magazine: Helicon is looking for a new editor! After an incredibly successful year, Helicon is already looking forward to putting together some more fantastic issues next year. To do this, we need an imaginative, hard working and creative new Editor to head the 2011/12 editorial team. If you wish to apply, just send us an email at helicon.magazine@gmail.com. The deadline for applications is Sunday 1st May and we hope to hold interviews in the first week back (3rd - 6th May). If you would like any more information about the position or have general enquiries about Helicon, please do not hesitate to contact us.